From now through March 3 ‘It's All About You!’ says the Neiman Marcus team at a store near you. Let the Neiman Marcus beauty experts tailor a beauty regimen to fit your lifestyle and needs. 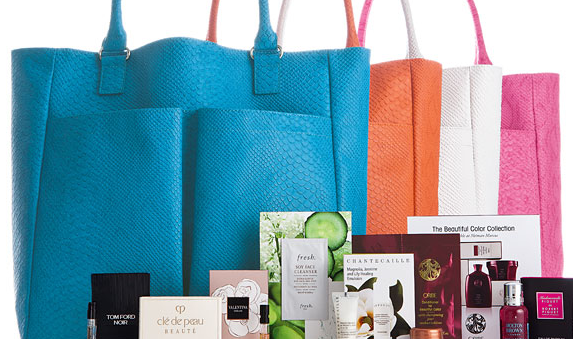 And, receive a chic tote with beauty samples when you spend $125 or more on cosmetics or fragrances. Visit participating counters for additional beauty gifts. One tote per customer, while supplies last, of course. To make your experience more robust, use Instagram to share your spring beauty look starting and you could win a luxe beauty gift during the store’s daily giveaway, February 21- March 3…plus, one grand prize winner will receive a trip to InStyle’s Summer Soiree party in Los Angeles. How cool is that?